No one was injured in the accident that occurred between Bhogpur and Panskura stations in Howrah-Kharagpur section of South Eastern Railway (SER) at 7.10 am. The train will move towards Puri following amalgamation of coaches after detaching the affected coach. A coach of the Howrah-Puri Dhauli Express derailed near Panskura station in West Bengal today morning, a South Eastern Railway spokesman said in Kolkata. 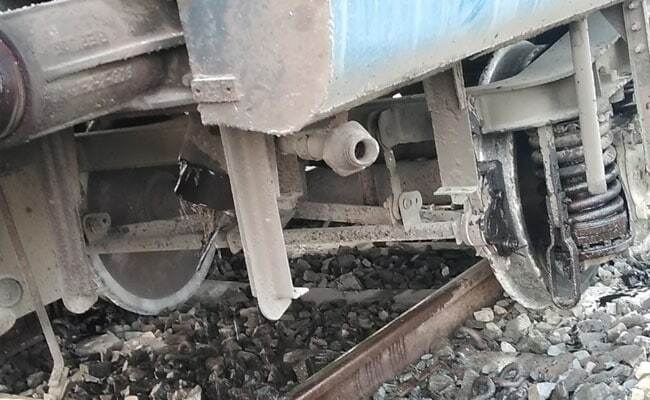 No one was injured in the accident that occurred between Bhogpur and Panskura stations in Howrah-Kharagpur section of South Eastern Railway (SER) at 7.10 am, spokesman Sanjay Ghosh said. The train will resume its onward journey towards Puri following amalgamation of coaches after detaching the affected coach, Mr Ghosh said.